Ever since Bitcoin was invented in 2009 by its mysterious creator, Satoshi Nakamoto, blockchain technology has been steadily growing in popularity, with ever-growing use-cases. However, despite the rise in popularity of blockchain tech, some people still question whether or not decentralized blockchains are a good idea. This article will take a deeper look at blockchains and examine some of their key advantages and disadvantages. A blockchain is a cryptographically secured, universal, open-source and decentralized ledger for keeping track of transactions. This means that it is not controlled by any single bank, government or organization and that it can be accessed by anyone with an internet connection. Blockchain technology is commonly used today with cryptocurrencies. The blockchain concept was initially thought of in 1991 by Stuart Haber and W. Scott Stornetta. 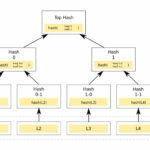 It didn’t really gain any mainstream traction until the 2010s, as many people became familiar with its use as a means for monitoring Bitcoin transactions and preserving the integrity of the Bitcoin network. However, blockchain technology is not only used by Bitcoin. Many other cryptocurrencies, and even businesses have also adopted the new and innovative technology. Now it seems to be becoming increasingly popular. Despite the fact that blockchain technology is a somewhat new concept, it has proven itself to be extremely useful in business and has a number of core advantages. Here’s a list of some of the most important advantages of decentralized blockchains. Because blockchains are open-sourced ledgers, and because every single transaction is recorded on them, it is very easy to tell if fraud is taking place. The integrity of blockchain systems is monitored and maintained by miners who validate transactions all day every day. There are thousands and thousands of miners validating blockchain transactions all around the world at any given moment in time. This gives decentralized blockchain-based cryptocurrencies an enormous amount of oversight and makes them nearly invulnerable to fraud. This is in an enormous benefit of decentralized blockchains. Blockchain-based cryptocurrencies are not controlled by any government, bank, or central bank. This means that they cannot be meddled with by governments. Government meddling is a problem that has led to the devaluation of many currencies throughout history. From the Denarius in the Roman empire, to the German Mark in Weimar Germany, to the Zimbabwean Dollar in recent times, bad things can happen to currencies if governments meddle too much with them. One problem that frequently occurs when governments meddle with currencies is that they end up creating inflation or hyperinflation by debasing, devaluing, and/or printing too much currency in a short of a time. With decentralized blockchains, it is impossible for governments to meddle with cryptocurrencies because governments, in fact, do not have control over them. Nobody does. This is because cryptocurrencies are essentially just software programs with a finite amount of coins. This makes them extremely resistant to hyperinflation, unlike national fiat currencies. Blockchain-based cryptocurrencies provide transaction times that are often much, much faster than bank transaction times. For some bank transactions, such as wire transfers, it can take days for the transaction to go through. However, transactions made on a blockchain usually take just minutes. The fact that transactions can be made faster through blockchain-based cryptocurrencies without losing any accuracy is potentially beneficial for countless individuals and businesses around the world. If money can flow faster then moves can be made faster, decisions can be made faster, goods can move from point a to point b faster, etc. Increased transaction speed is a good thing for the global economy. Decentralized blockchains allow transactions to be made directly from person to person without the assistance of a third-party. This dramatically improves financial efficiency and allows people to be less reliant on banks or other financial institutions. This can save a lot of people money for people in fees and other costs associated with using banks. This feature of blockchain technology is very appealing to many people who wish to save money in their finances. Bitcoin, which runs on the block chain is often referred to as digital cold. This is because it has many of the features of gold. For example, there is a finite amount of it, it has to be mined, it is desirable in many different countries, etc. Because of its qualities and the fact that it is “digital gold,” Bitcoin and thus blockchain technology in general, can be a very effective way to store value. Many people have realized this, and that is part of the reason why the price of Bitcoin has reached $10,000 per unit and still climbing. Also, Bitcoin and other blockchain-based currencies have one major advantage over gold and other precious metals as a store of value; they can be stored on computers or mobile devices and sent over the internet. This means that people do not need to buy safes or security deposit boxes at banks to store their wealth like they often do with gold. Even though there are many benefits of decentralized blockchains, there are also a few disadvantages of them as well. Here is a list of some of the most important of these disadvantages. 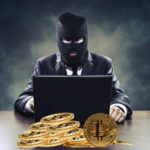 Due to the anonymous nature of decentralized blockchains and the cryptocurrencies that rely on them, they have become somewhat of a preferred financial instrument for criminals. One example of this is the fact that the illegal, underground, digital black market “Silk Road,” relied heavily on Bitcoin for transactions. On this website, people could buy things such as illicit narcotics with blockchain-based cryptocurrencies. However, this market place was shut down just a few years after it went live, as soon as the FBI became aware of its existence. The closing down of Silk Road was a major step forward in preventing crimes paid for in blockchain-based cryptocurrencies. However, many people still believe that this technology is too appealing to criminals, and makes it too easy for them to finance illegal activity without being detected. In the near future, stronger regulations could be put in place to prevent blockchain technology from being used for illicit purposes. However, it still remains a fact that national currencies such as the U.S. dollar have been around for centuries and are still used for the financing of criminal activity. For example, it is estimated that former drug kingpin Pablo Escobar alone, buried hundreds of millions, if not billions of dollars underground throughout the nation of Columbia – money that was made trafficking cocaine. Many of the cryptocurrencies that use decentralized blockchains are extremely volatile. For example, it is not uncommon for Bitcoin prices to fluctuate 20% or more in a single day. Part of the reason why there is such extreme volatility for cryptocurrencies is because they are extremely new. This means that governments, investors, businesses, and other groups of people are trying to decide whether or not they want to adopt them which can cause a lot of volatility. When China decided to outlaw cryptocurrency exchanges in early fall of 2017, the price of Bitcoin dropped from roughly $5,000 to about $3,000. This is a huge drop, and this sort of volatility is currently a major concern for many people who are thinking of investing in cryptocurrencies, or for businesses who are thinking of accepting them. However, despite the excessive volatility, the price of Bitcoin and a lot of the other primary cryptocurrencies has continued to rise over the years in an upward trend. This means that many people are still choosing to adopt them, and that the overall market cap for cryptocurrencies is still rapidly expanding. One day, the market cap for cryptocurrencies may find equilibrium, and that could decrease volatility significantly. However, that may not be until the market cap reaches trillions of dollars. Right now it is only a few hundred billion dollars for all cryptocurrencies. At any rate, volatility right now is something that is still considered a disadvantage of decentralized blockchain-based cryptocurrencies. Storing blockchain-based cryptocurrencies can be a problem for people who are not tech savvy. Secure storage is relatively simple for people who are. In fact, it can be achieved fairly easily through the purchasing of the so-called “cold storage” wallets such as the Trezor. 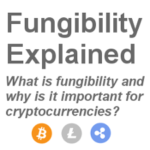 However, the average person may struggle to create a Bitcoin or Ethereum wallet and transfer their coins from a digital wallet onto a cold storage wallet, which is completely disconnected from the internet (unless you connect it). This can create a bit of a problem for many people. As a result, a large number of cryptocurrency holders store their cryptocurrencies on the exchanges themselves. This can be a problem because cryptocurrency exchanges are a target for hacking. Mt. Gox, the largest cryptocurrency exchange in the early years of cryptocurrencies was completely hacked and had all of the Bitcoins of its users stolen. This was an epic hack and resulted in millions upon millions of dollars being lost. The premiere exchanges in the modern day such as Coinbase, claim to have both stronger security and also, insurance for their users which can make storing Bitcoin or other cryptos on them more appealing However, the perfect safe storage of Bitcoin and other blockchain-based cryptocurrencies appears to still be somewhat of a challenge. But, considering the immense interest in cryptocurrencies currently taking place, it is highly likely that more storage options will be created and brought to market soon. 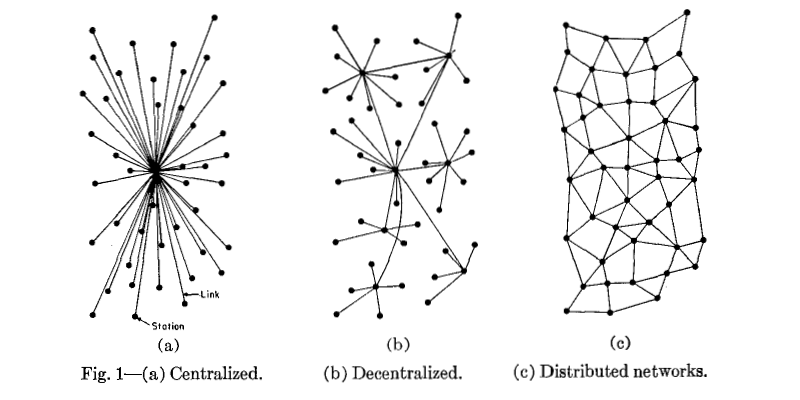 Decentralized blockchain technology is only about eight or nine years old. This means that its full potential is not really known at this time. Some people believe that it is going to help create an asset class (cryptocurrencies) that will rival precious metals as a commodity. Others believe that it is a fad, or a short-term bubble which will burst and leave anyone who invested in it with heavy losses. Whatever does happen with blockchain technology, to say the very least, it is an incredibly creative and useful invention. Its creation required incredible computer science and finance skill, and blockchain has the potential to disrupt both of these industries. Some major businesses, such as Overstock.com and Tesla have begun accepting blockchain-based cryptocurrencies for payment. If more and more major companies start using cryptocurrencies for transactions, then it could trigger a domino effect in which these currencies earn wide-scale acceptance. It is yet to be determined whether or not retail giants like Amazon will ever accept Bitcoin or even Ethereum and other cryptos. But if they do, it could really change things.